3 Coats Wet N Wild LAC-My Mani? You know, this is another one of those prompts that stumped me for a little bit. I'm not artistically inclined, which might make you wonder why I chose to take on a nail ART challenge. Some days, I wonder the same thing! But, for the most part, I've really enjoyed the 31 Day Challenge, and that's kind of the point. To be challenging... right? This past summer marked the release of Sheer Tints by OPI, followed by Sally Hansen's Triple Shine Palm Beach Jellies. 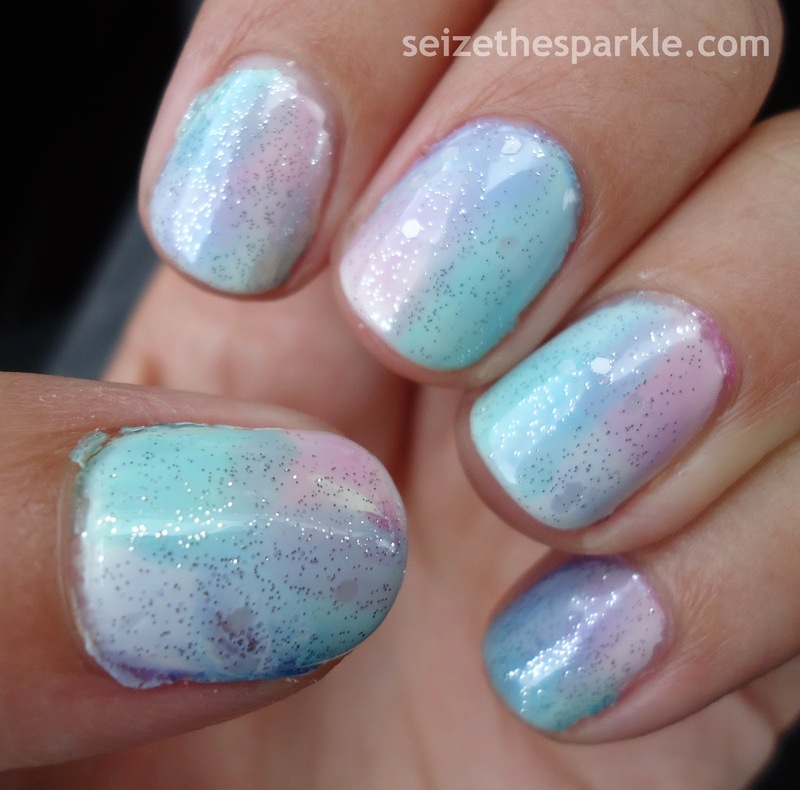 With both of those collection came along something called a "watercolor" manicure. That ended up being the inspiration for my artwork nails, once I painted on 3 coats of Wet N Wild LAC-My Mani. 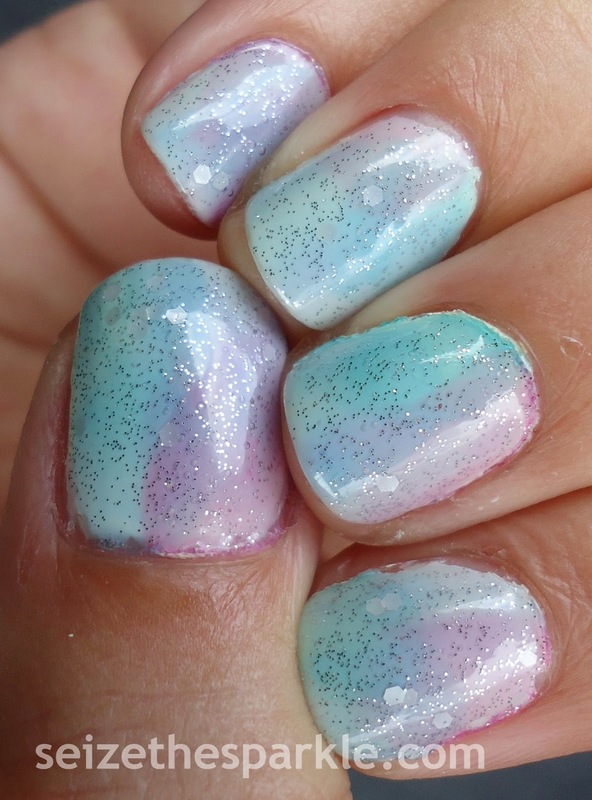 I've actually wanted to recreate this look for a while, but I've had such issues with white polish in the past, that I never bothered trying it. So glad that this popped into my head last night. I like it a lot, and will probably do something like this again in the future.